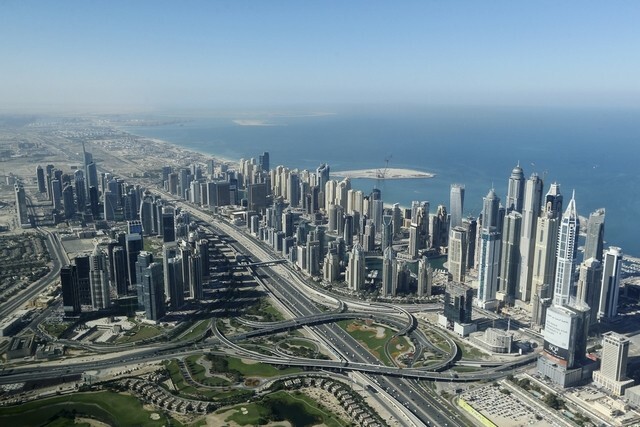 Average cost of a prime apartment in Dubai is $8,400 per square metre. Dubai: The city of Dubai is rightly famous for the glitz and glamour of its architecture. There’s an abundant supply of majestic properties with sprawling gardens or swanky apartments overlooking its yacht-lined marinas. But despite all that opulence, the emirate remains one of the least costly places to own a home. The average cost of Dubai’s prime real estate is one of the lowest in the world, ranking in the 34th place on the latest global ranking of property hotspots by New World Wealth released Wednesday. In Dubai,a prime apartment costs approximately $8,400 per square metre as of the third quarter this year. That’s slightly higher than the $8,200 average price last year, but still a far cry from Monaco’s average price of $48,000 per square metre. The tiny city-state, known for yachts, fast cars, casinos and wealthy residents, has been ranked the most expensive city for prime property out of the 54 destinations included in the study by the market research firm. Monaco is followed by New York, which has just overtaken London this year. Dubai is trailing behind a number of cities in Europe that dominate the list, including Saint-Tropez, Paris and Nice in France and Rome, Florence and Milan in Italy. Other American destinations, such as The Hamptons, Los Angeles, Miami and San Francisco, as well as a few other Asian hotspots like Hong Kong and Beijing, are also far more expensive than Dubai. “Notably, prices in New York, Sydney, Beijing and Shanghai all rose strongly over the past 12 months, while prices in London, Parish and Rome are all down,” said the New World Wealth. Andrew Amoils, head of research at New World Wealth, noted that prices in Dubai’s prime real estate are still rising, aided by the continued influx of wealthy individuals into the city. “Most of the wealthy people moving to Dubai are coming from Africa and the Middle East. I would imagine Dubai should break into the top 30 worldwide within the next ten to 20 years. It is certainly an up-and-coming hyotspot,” he told Gulf News. Within the Arab world, Dubai tops the list, with Abu Dhabi following closely behind in the 35th position. The other two Gulf cities included in the study, Doha and Riyadh occupy the 38th and 40th place, respectively. New World Wealth analyses the top prime property hotspots worldwide as part of its “Global Wealth Migration Review.” The latest data reflect the prices of prime property as of September 2017. The report also benchmarks the top Middle Eastern cities against the worldwide list.